The art of the cocktail is back and can be found right here at the Firehouse Lounge. Our experienced and knowledgeable staff pride themselves on recreating some of the world’s best classic cocktails in addition to creating original drinks to satisfy any palette. With a focus on quality and presentation without all the pretentiousness too often associated with craft bartending, our staff delivers a friendly and relatable experience every time. Firehouse lounge’s cozy and sleek interior radiates with old world charm. Leather seats invite you to sit back and relax. Enjoy eclectic live music featuring some of Austin’s best jazz and blues musicians, rock and roll, and DJ's. Perfect for groups or the solo traveler, our lounge is inviting to all. Native Austinite? You’ll be impressed with our knowledge of local breweries, small-batch distilleries, and dedication to local ingredients. Our lounge is open 7 days a week. [i][b]We do not accept reservations. [/b][/i] First come, first serve. 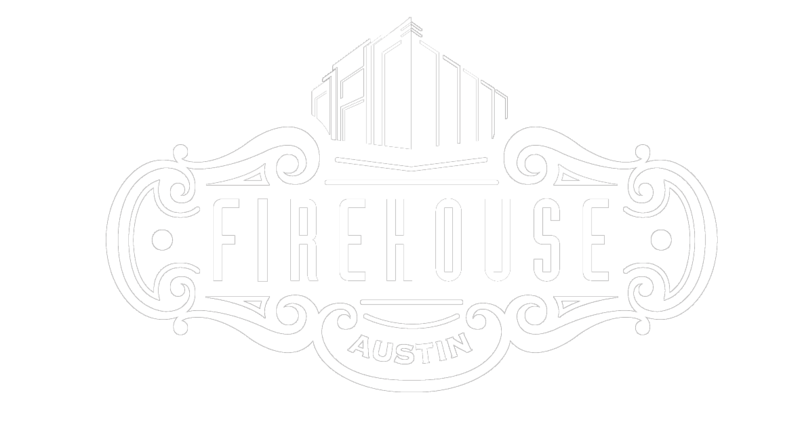 For [b]private event inquiries[/b], please email: [email]firehousebarmanager@gmail.com[/email] [b]Lounge Hours[/b] Mon - Wed: 5:00pm - 2:00am Thurs: 2:00pm - 2:00am Fri - Sun: 12:00pm - 2:00am [b]Happy Hour Daily:[/b] Open - 8:00pm *$2 off all drinks and food* (excluding canned beer and snacks) Food Menu Available Hot Food: Wednesday through Sunday from Open - 11pm Snacks available daily open to close [b]We do not offer table service[/b] To place an order, please speak with one of our friendly bartenders. For our Live Music listings, please click on the 'Calendar' tab above.